Tinker Hatfield kicked off wearable technology with his unforgettable Back to the Future self-lacing sneakers. With essentially no learning curve, wearable tech is arguably the most easy-to-adopt technology. And it’s not just about looking cool; wearables can provide a big boost to safety. Icy ground, slippery surfaces, and melting or packed snow all contribute to winter injuries on the job site. While steel-toe Timberlands may stand the test of time, they didn’t make the list of top snow boots reviewed by the Toronto Rehabilitation Institute. After testing over a hundred boots, the institute found only nine of them passed the safety and efficiency criteria. The good news? The researchers found two new technologies on the market that make for safe, high performance products. Green Diamond Technology has created an anti-slip boot. Its sole is sprinkled with granules of silicon dioxide under a layer of sanded rubber, acting as a gripping mechanism on ice. These crystal cleats could help reduce risk exposure on the job site, meaning both lower safety and cost impacts. Another technology, Arctic Grip, embeds glass fibers inside a microgroove rubber sole, also fantastic for keeping your footing atop ice. Most brilliant ideas come from chicken scratch on a napkin. Or, they’re listed in iPhone Notes as “brilliant inventions” just waiting to be brought to life. A new technology called Quilla, presented at this winter’s CES trade show, aims to do just that. When it comes to drawings, Quirk Logic’s latest solution could be the next big thing for architects and builders. Quilla is a battery powered, 42-inch display e-paper, acting as a no-fuss smart replacement for whiteboards. It is the largest electronic board of its kind, allowing a user to draw, mark up, select and move text and pictures around the screen. The eco-friendly tech pad scrolls through an unlimited number of pages for renderings and text, and at a lean 22 pounds, it is easy to hang on a wall or move from office to job site. 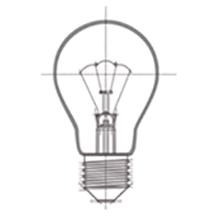 The technology promises to be highly useful for brainstorming and annotating design changes during meetings. With a high resolution, low contrast display, it’s like Kindle for workflow. In June, OSHA’s new crystalline silica dust regulations will take effect, and the tool tech market is paving the way to help builders achieve compliance. The new safety rules aim to reduce workers’ exposure to crystalline silica. A natural byproduct of cutting concrete, or any stone, flecks of silica dust—each twenty times smaller than a grain of salt—can cause disabling or even fatal lung disease. We’re using more concrete than ever, in both traditional and innovative ways. A product that is centuries old, it is by some estimates the world’s second most consumed item, after water. To adapt to the new safety standards, Bosch and DeWalt have created hollowed drill bits and dust extraction systems. Their dust vacuums eliminate silica from the air while workers operate the tools in the same way they would ordinary drills. Necessary innovations, no extra training necessary. 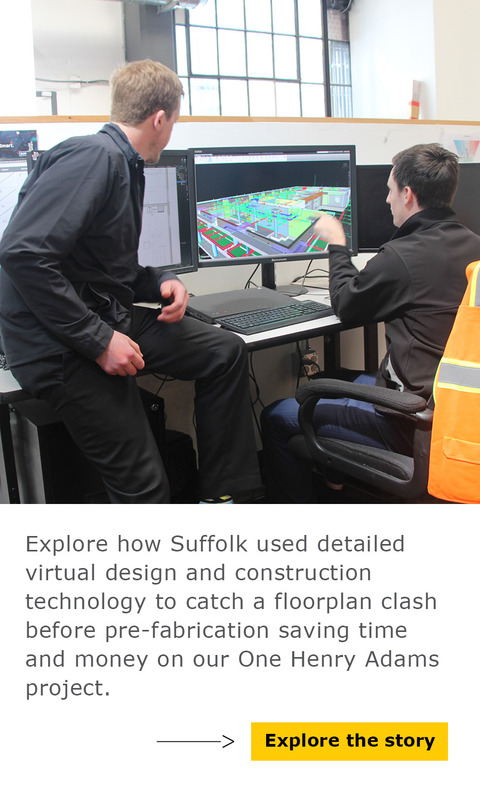 This post was a collaboration between Suffolk Construction’s Insurance Coordinator Lindsay Davis and Content Writer Patrick Kennedy. If you have questions, Lindsay can be reached at ldavis@suffolk.com and Patrick can be reached at pkennedy@suffolk.com. You can also connect with him on LinkedIn here or follow him on Twitter at @PK_Build_Smart.